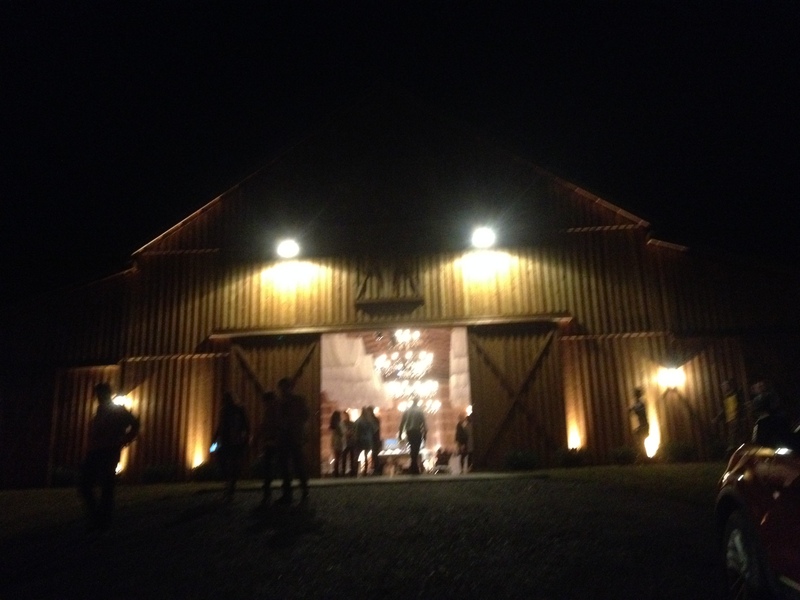 A couple of weeks ago I had the opportunity to visit Saddle Woods Farm, a new wedding and event venue on Hwy 96 between Franklin and Murfreesboro. WOW!! 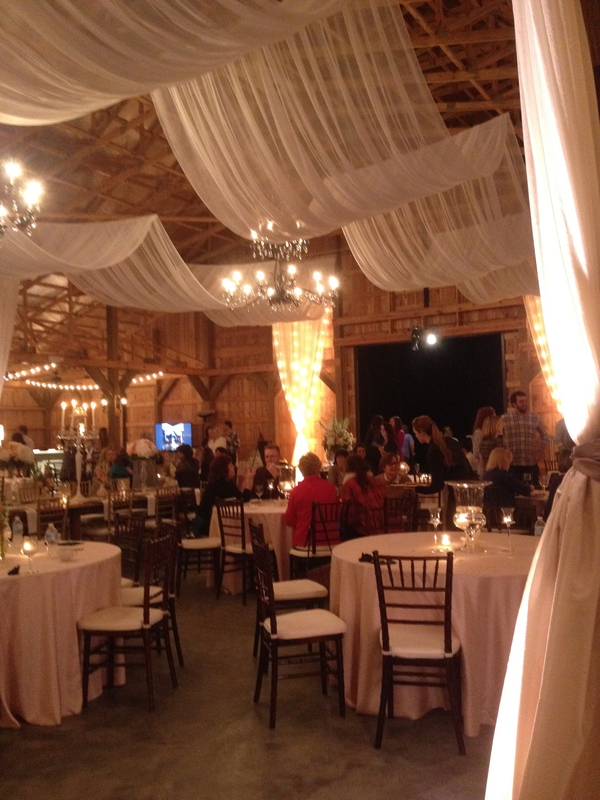 Saddle Woods Farm boasts a large barn that can be decorated sumptuously and romantically with lights and drapes. Because it was dark when I got there I wasn’t able to visit the garden where ceremonies can be held but I’m told it’s gorgeous. Google them for better pictures but I’m including a few of my amateur offerings. I’d like to mention a couple of vendors showing their wares that I thought were really good. 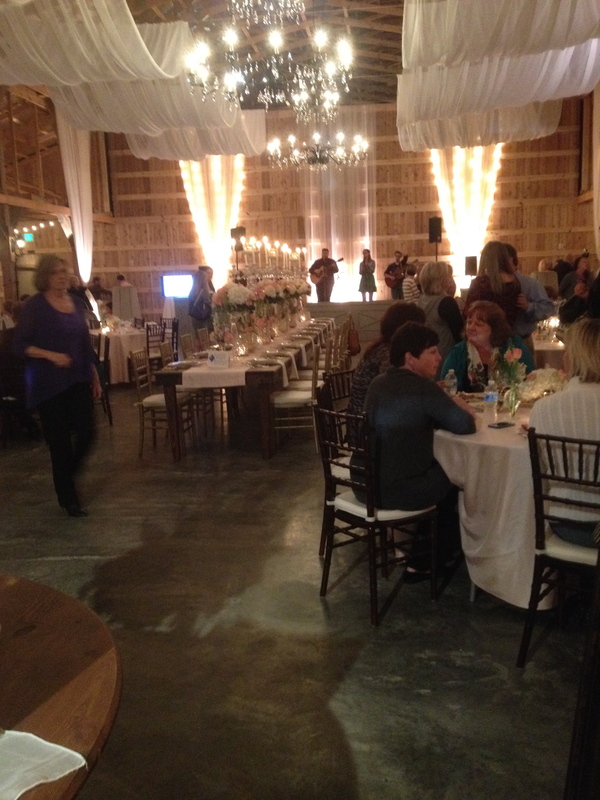 Sean Begin of dailyDish catering from Franklin had beautiful, scrumptious salad and vegetables. Niki Gilliam (whose wedding I played a few years ago) of Momma Nik’s had sensational cheesecake and chocolate covered pretzels for everyone to try. Here are a few of the pictures I took. Printed out the music to Downton Abbey. Can’t wait to play it with a quintet. It will ease the withdrawal now that Season 5 is finished.